What is the shoulder joint made of? Your shoulder joint is made up of three different bones: The collarbone, shoulder blade, and the upper arm bone. It is also the most mobile joint in your body, and this is because the link between the shoulder blade and the upper arm bone is not very strong, and therefore the mobility of the joint comes at the expense of stability. 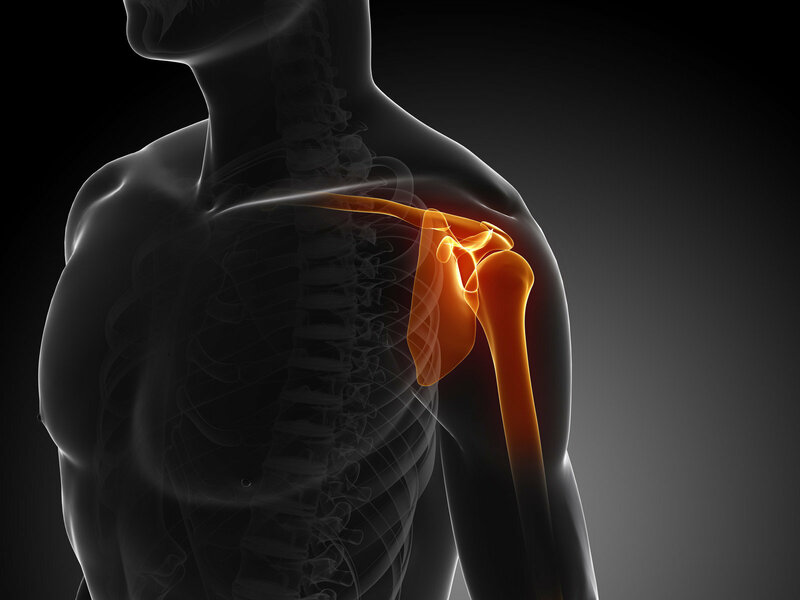 In order to keep the shoulder stable, it must be held by muscles, tendons and ligaments. These muscles, tendons and ligaments when joint(hahaha) together with your muscular system, is termed the musculoskeletal system. Today, I will introduce to you what injuries are there with regards to shoulder pain, and which parts of the musculoskeletal system have been affected. This article is not exhaustive of all possible injuries. 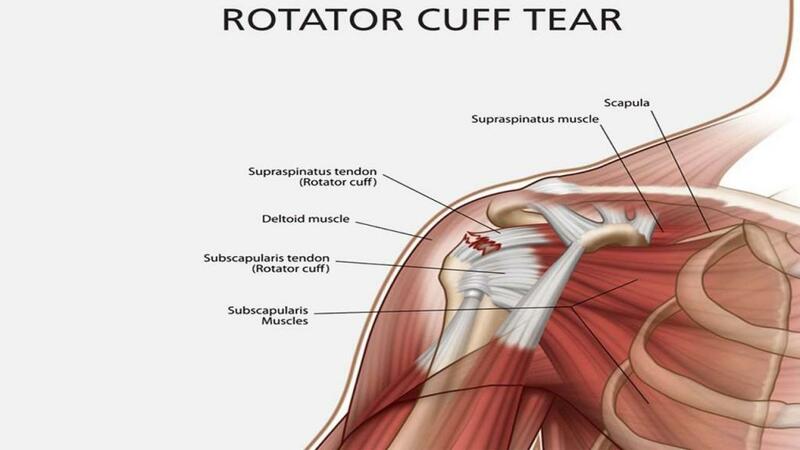 The aptly named rotator cuff is comprised of muscles and their tendons that surround the shoulder joint, that helps you rotate and raise your arm. Muscles and flesh are not indestructible, and they can split which results in the ‘rotator cuff tear’. This usually happens due to wear and tear of the muscle, which is due to repeated usage of it. It can also happen when there is a direct impact to the shoulder, such as landing on your shoulder when you fall. It is usually treated with more conservative options such as rehabilitation over weeks or even months, rest, icing and medication. This is when the injury is not extremely severe, and the tendons are able to heal by themselves. However, when the tendons have been split and cannot heal by themselves, surgery is usually recommended. This is advised when the cause of injury is acute(recent), and there is significant loss of function. Open surgery(a relatively large incision is made), mini-open surgery, or arthroscopic surgery(surgery with aid of camera) may be recommended. Arthroscopic surgery is mostly preferred due to a lesser possibility of complications happening, and there is no need for large incisions. As mentioned earlier in the article, the link between the shoulder blade and the upper arm bone is not very strong, and it is relatively easy compared to the other joints in your body for the upper arm bone to separate from the shoulder blade. This is called a dislocation, and occurs when there is significant damage to the muscles, tendons and ligaments surrounding the upper arm bone and the shoulder blade. 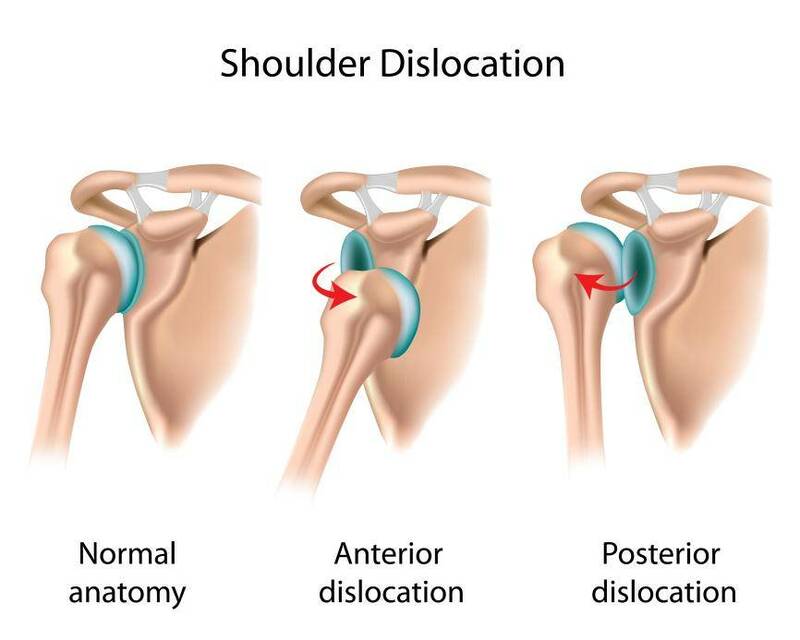 Dislocations usually happen when there is direct impact to the shoulder with an outstretched arm, twisting or impacting the shoulder. The individual might feel the shoulder ‘pop’ out of the joint, and the affected area will look different from the non-affected area. Usually there is intense pain accompanied with the injury. The dislocation might be anterior or posterior, or to put things simply, frontwards or backwards. This indicates where the upper arm bone has dislocated to. Conservative treatment options are the first line treatment options, where after the dislocated upper arm bone is put back into its place, a brace is worn for about a week to limit movement. It is important to note that the patient should not attempt to treat the dislocated shoulder himself, such as by popping the bone back into its place. Attempting that may result in causing further injury. Rehabilitation would be necessary as well, where a few exercises are performed to strengthen the muscles in the affected area. Time is needed for the torn tendons, ligaments or muscles to heal. If there has been extensive damage, or if the shoulder is regularly dislocating then surgery might be necessary. Surgical procedures are similar to the ones in a rotator cuff tear. Arthroscopic surgery is preferred over open surgery. A bizarre condition that is not well understood, it is thought that frozen shoulder usually occurs when the lining of the joint becomes inflamed, causing scar tissue to form. This leaves little room for the upper arm bone to move, resulting in the frozen shoulder. 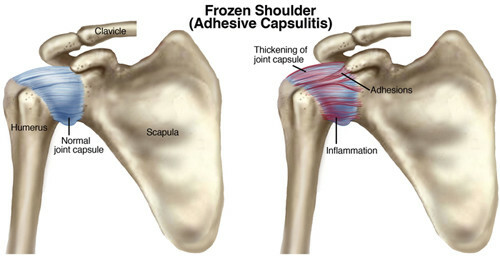 Frozen shoulder is formally referred to as adhesive capsulitis. Surgery is rarely recommended for frozen shoulder, and conventional treatment options are recommended. Frozen shoulder usually resolves itself with time, but it is highly recommended patients attend physiotherapy, and only go for surgery(usually arthroscopic) once physiotherapic measures have failed to achieve results.